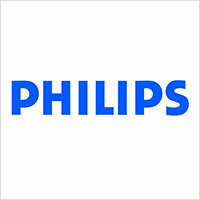 Philips is one of the best known exports of the Netherlands (the others being marijuana and colonialism) and is one of the premier consumer appliances manufacturers in the world. Additionally, it counts itself as being one of the largest electronics manufacturing companies in the world, with a presence across fifty countries and an estimated head count of over 122,000 people in its main offices and production facilities. In 2012 its revenue was 24.78 billion Euros, a figure not everyone can balk at. Philips is divided into three main divisions – Philips Consumer Lifestyle that contains in its product range all the consumer electronics products such as headphones, mixers and other home appliances, Philips Healthcare that was originally Philips Medical Systems and is thus responsible for producing all kinds of medical devices under the Philips Aegis, and Philips Lighting – a division the company is best known for; it has a number of lighting offerings that, along with their brand image serve to strengthen the company’s fundamentals across the world. Philips is known to be a consumer friendly brand that looks at volume sales. Thus most of its products are quite affordable and swathe the entire market with their presence. So their headphones are not the greatest in the world, but they pack quite a punch with their price. Gerard Philips and his father Frederik started the Philips company way back in 1891 with the production of carbon-filament lamps along with an assortment of other lighting paraphernalia. By 1912 the company owned two more factories – one for making metal filament lamps and the other for making light bulbs and vacuum tubes by the early ‘30s. With the expanding businesses and the arrival of consumer radio, the company also started producing and selling radio sets, while simultaneously also broadcasting their own radio channel in the shortwave. The Happy Station show, one of the world’s longest running shortwave shows, started with the Philips channel. After the Second World War, this channel was nationalised and the Happy Station continued to be broadcasted in it. After the war, the company started selling many different electronic appliances. Starting with the TV, the compact audio cassette, the world’s first home video cassette recorder, the company went from heights to new heights. Additionally, the company started acquiring many companies and adding all of their products to its growing portfolio. The economic slump has made the company lose out a lot on its revenue and with the company struggling to get back to its original glory; there are a lot of tensions in the arena. The Philips SHP1900 headphones is a good example of Philips’ slogan – Sense and Simplicity. 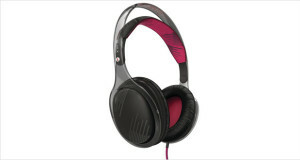 The headphone looks sleek, sounds great and above all is cheaper than most other large over ear headphones. Granted it is not audiophile quality, but the noise isolation is good enough and the sounds, though a little muffled, are still great for a beginning audio enthusiast looking for a cheap place to start his journey. The headphones are comfortable, have a very long cable and are sturdy enough to withstand a few knock downs.